The Russian Federal Air Transport Agency (FATA) has issued a directive instructing operators of the Sukhoi Super Jet 100 (SSJ100) regional airliner to operators to carry out detailed inspections of the rudder hinge and actuator fittings. All inspections are to be conducted before June 5, 2017, reads a statement on the FATA website. “The inspection is aimed at detecting possible cracks in the surfaces of the rudder actuator fittings”, the directive says. The document was issued after damage was discovered on an Aeroflot SSJ100 (serial number 95089, registration code RA-89051), which had entered operation with the Russian flag carrier in 2015. According to the document, the checks are to be conducted before the next flight from the aircraft’s base airport. Shall any damage is discovered, that particular aircraft will have to be grounded. In addition, in the course of the next weekly maintenance check the operator is to inspect the aforementioned items jointly with representatives of OEM Sukhoi Civil Aircraft (SCAC), and to make a formal report to the SCAC. “The corrective actions listed in the airworthiness directive are compulsory, all operators are obliged to comply with these requirements. Failing that, operators will be mandated to ground their SCAC-assembled aircraft,” reads the document. The SCAC informed the Russian Aviation Insider that it had sent out its engineering advice on the problem to the type operators: “Standard operations may continue if no defects are found.” The OEM emphasizes that “it is the first time a rudder actuator fitting defect has been discovered, and it is a one-off incident”. The part with cracks will be taken down for analysis and replaced with a new one. Earlier this year, defects have been discovered in the SSJ100 stabilizer fittings. This resulted in several such aircraft being grounded temporarily. The SCAC reported it had solved the problem. 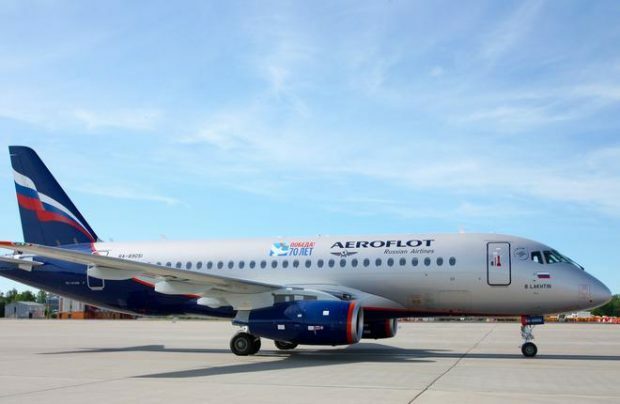 According to FATA, apart from Aeroflot the SSJ100 is operated in Russia by Gazprom Avia, Yamal, IrAero, RusJet, Yakutia, the government air squadron Rossiya, and the Emergencies Ministry. Mexico’s Interjet and several other foreign airlines also operate the type.